You may not realize it, but the timing is perfect to consider Laser Hair Removal. I know you may be thinking that we’re in the middle of February, and this is Canada. Therefore, it only makes sense to keep ourselves covered up in an effort to both beat the cold and avoid having to regularly shave our legs and underarms. But when you think about it, the summer is just a few short months away. This gives you the ideal amount of time to get in some Laser Hair Removal treatments so that by the time summer comes around, you’ll be as smooth and silky as you can be. Of course, we can’t cover up forever! The thing is, for some people, the thought of allowing a laser to touch the skin is scary one. Thankfully, there is a fantastic YouTube video that I now often use a reference to demonstrate just how quick, safe and effective Laser Hair Removal really is. This video will be of particular interest to both men and women who would like to do away with ever having to shave their underarms again. In the video, it is demonstrated how Laser Hair Removal works on that part of the body. The treatment takes place through a short series of steps. In the first, the patient is asked to wear laser safety glasses while she is laying down comfortably. Now, before you begin to let this get you nervous, remember that lasers are quite bright after all. And although an entirely different type of laser is used to correct vision, your eyes should be shielded from the one used to remove hair. And there are two types of lasers that are generally used to remove hair. They are known as the Alexandrite and Nd-YAG laser devices. 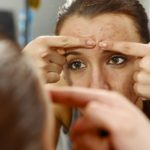 The one that is best for you will depend on your skin type. But we’ll get back to that shortly. The second step of the procedure involves a cooling gel being applied to the skin to protect the skin and minimize any discomfort.In step three, the appropriate laser is calibrated and readied for the treatment. And in the fourth step, the Laser Hair Removal treatment is performed. During the treatment, the patient is shown to have no reaction indicating that it is quite the painless process. It should also be noted that the entire process takes under a minute to complete!Check the video out for yourself, it’s actually quite remarkable. No editing job was needed here. Laser Hair Removal really is a quick and easy process. Now, this may not always be the case for everyone. Of course, the type of hair you have and the area being treated must be taken into consideration.But for anyone who has a concern about the supposed pain that goes along with removing hair, this YouTube video clearly demonstrates how much more painful it actually is shave or wax. 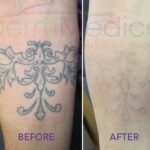 For more information on Laser Hair Removal and the Alexandrite and Nd-YAG laser devices, be sure to contact DermMedica toll free at 1-866-861-3070, or if you are in Kelowna, call 250-868-3070.